MODEC was awarded the contracts for the supply, charter, lease, operations, and maintenance of the FPSO for the latest development offshore Ghana. Tullow Oil tagged MODEC for the TEN Ghana MV25 vessel which will be used on the TEN development project made up of the Tweneboa, Enyenra, and Ntomme fields in the Deepwater Tano contract area. MODEC is responsible for the engineering, procurement, construction, mobilization, and operation of the FPSO, including topsides processing equipment as well as hull and marine systems. SOFEC will design and provide the mooring system. 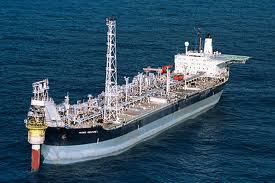 MODEC will convert the VLCC Centennial J into an FPSO. The FPSO will be capable of handling expected plateau production of 80,000 bpd of oil, 170 Mmcf/d of gas, and has storage capacity of 1.7 million barrels of total fluids. The FPSO is scheduled for delivery in 2016 and is designed to remain operational in the field for up to 20 years. This is the second vessel MODEC will provide and operate in Ghana following the FPSO Kwame Nkrumah MV21 used on the Jubilee Field.